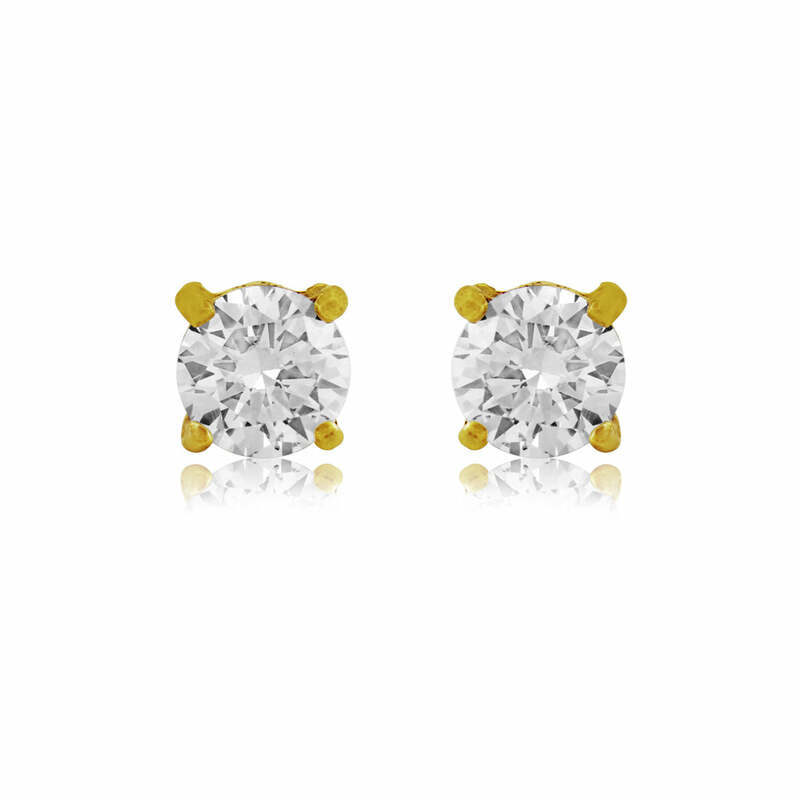 A classic design with a hint of luxury, this chic pair of gold stud earrings are the ultimate jewellery must-own. A classic jewellery staple, a pair of studs encased in a luxurious gold tone setting are a must-own for every stylish woman. Our Glint of Gold Earrings feature multi-faceted cubic zirconia for the most mesmerising touch of sparkle that looks simply perfect from day to night. Outlined in an antique gold case, you would be forgiven for thinking this oh-so-chic pair were diamonds... until you look at their purse-friendly price tag. If you are a bride who adores dainty wedding earrings, the timeless style of Glint of Gold will effortlessly complement every bridal style. Or, if you have chosen a statement headpiece, these elegant studs will finish your look with the perfect balance for your special day and beyond. Undoubtedly the ultimate go-to pair for every occasion, you can rest assured these pretties will take you from the office, to drinks or to a glamourous party in style. And let's not forgot what a perfect gift they make for your bridesmaids or someone special.